Camp for €18,- a night at Campsite Le Clapas in low season with CampingCard ACSI. 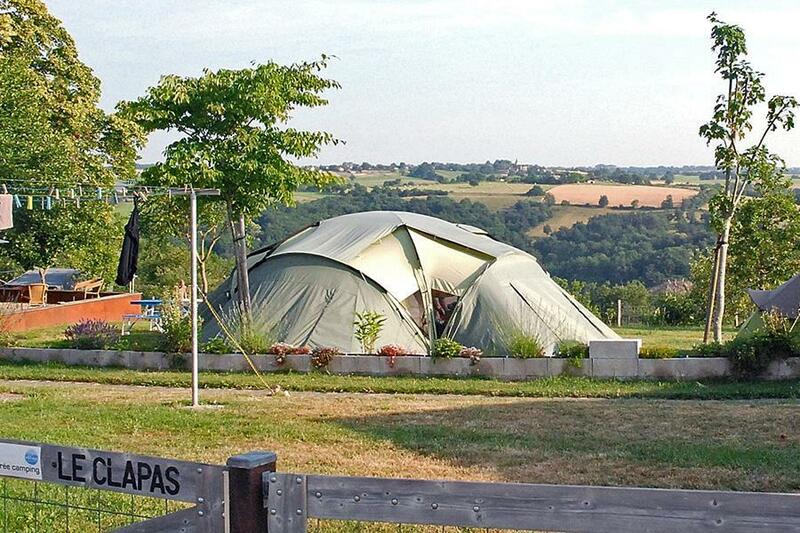 Campsite Le Clapas, located in Castelmary (Aveyron), is a campsite with 20 touring pitches. With your CampingCard ACSI you can camp on one of the pitches during the following periods: 14-05-2019 - 30-06-2019 and 31-08-2019 - 15-09-2019. At this campsite you can not only use your CampingCard ACSI for inexpensive camping, you can also use your ACSI Club ID (as an alternative ID). Small and friendly campsite on a hill with panoramic views, surrounded by rugged river gorges, woods and grain fields. Many opportunities for walking in the beautiful countryside, hospitable owner and small-scale entertainment such as campfires and baking baguettes. Would you like to book Campsite Le Clapas or request more information? You can do both using the information below. The campsite is located 8 km southwest of Naucelle Rodez - Albi. From Naucelle follow the D58 to Crespin, then the D226 to Lavernhe. For the last 4 km follow the campsite signs. CampingCard ACSI will send your information request to "Campsite Le Clapas".